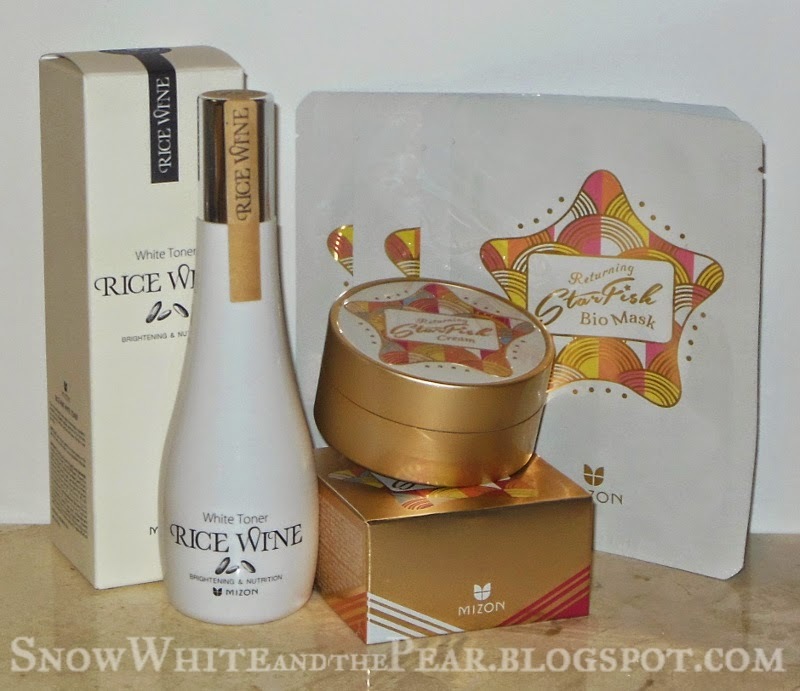 During the holiday season I teamed up with a fellow blogger to create a Guide to Shopping for Hard-to-Find Korean Products When You Don’t Known Korean, which details how to use a Buying Service (in our case, Avecko) to source, purchase, and ship otherwise unavailable goods to you. This haul was so lovely that even the winter sky wanted to weep over the precious deals I got ... or just rain on me and ruin my pictures, in order to force me grab everything and run back inside, squawking like a wet hen?. In fact, the guide I linked above evolved from things I put together to help some friends and I make a group order through Avecko's buying service. The spreadsheet template, for example, was originally made for us to organize our huge, multi-person order. Kahime was the person who helped me the most with identifying key terms and recommended sites, and after pestering her for the umpteenth time and seeing her amazement at how smoothly the spreadsheet estimated costs, organized products, and coordinated the order, it occurred to us that we should join forces to make an official guide so others could benefit. Hence, the guide was born. Today’s post is the fruits of those labours! A note on how buying services work; if you aren't familiar with the process, the basics are: find a product you want, provide the link to the buying service, they charge you for the cost + shipping to their location in Korea + their buying fee, which is a percentage of the product cost. They invoice you the total, and once you pay, they purchase your items for you. When they receive them, they invoice you again for the cost of shipping from Korea to your country, and voila! Your goods are on their way to you. Er, the apple in this picture is for scale; this bottle is tiny! Having run out of my OST Vitamin C serum, I purchased a replacement bottle and picked up this powder Vitamin C as well. The powder, unlike the OST, is not sensitive to pH and supposedly can be mixed into any serum or cream, or even just water. I ended up gifting my OST, so no photos, sorry! Facial oils are new to me; before having a regular acids routine (I use Vitamin C, BHA, and AHA daily), I've never needed the extra moisturization boost from a facial oil, but I knew some people swear by them. In my Haulzilla post, I mentioned I had picked up some History of Whoo facial oil samples destined for the massive care package my mom was receiving for Christmas, and I kept a few of them to test out. I was amazed at how much I liked it, and decided to explore facial oils further; I admit that the packaging of this one sucked me right in. For a very good price (see just how good below), I decided to go ahead and pick up the set since I wanted the Essence and the Mist and it was cheaper to get the whole set. I wasn't going to argue. You might be thinking "snails again?!" and while it's true I'm an unrepentant snail addict, this is actually a body lotion and not a facial product. This may shock you, but I literally have no body care products other than the free foot cream Testerkorea threw into my Haulzilla. No lotions, no hand creams, no shower gels, nada. I actually really dislike how greasy and blatant body creams feel, so much so that I'd rather suffer dry legs than risk sliding off my couch. But snail gel has been so magical for my face, I had to give it a chance on the rest of me. 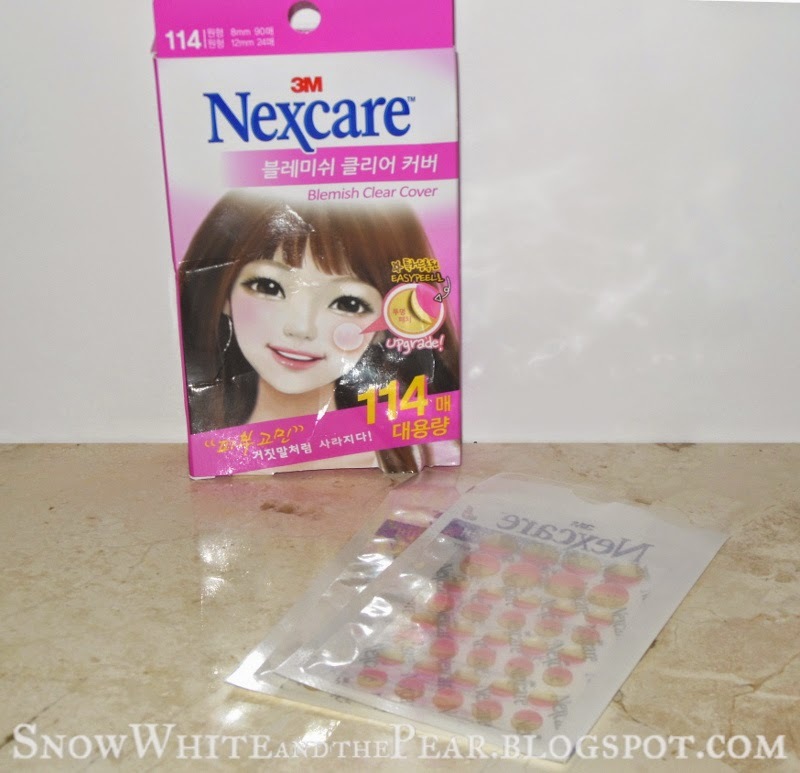 I absolutely love the Taiwanese version of the 3M Nexcare Acne Sticker hydrocolloid bandages (reviewed) but they're pricey. I wanted to give these a try not only because they were a better deal, but because they had the added feature of a liner that supposedly makes it easier to peel them up without risking contamination. 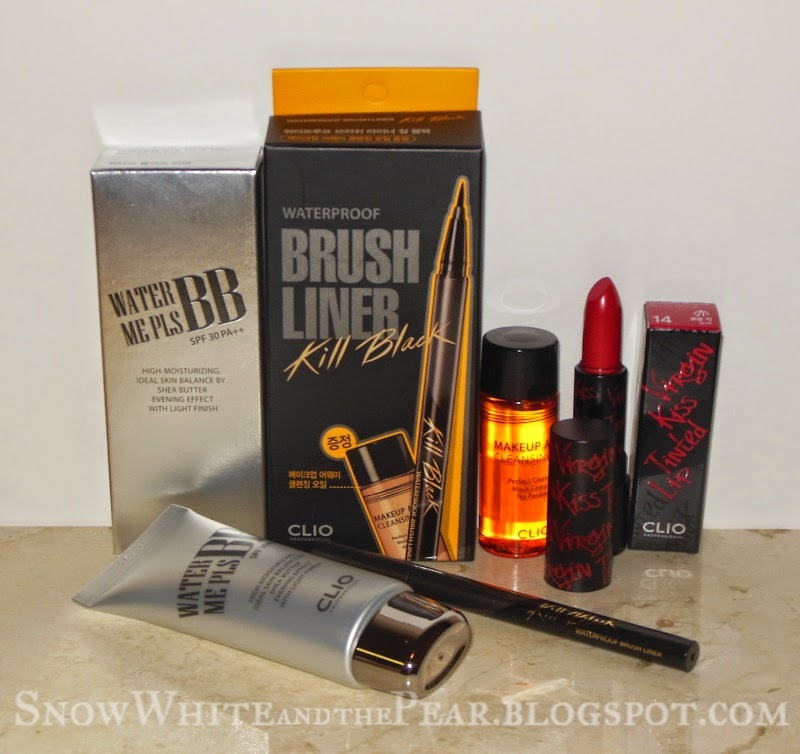 I can do a full review of these (and my thoughts on the liner feature) if anyone is interested, but I will say they work just as well as my usual kind so thumbs up so far! Hydrogel masks are super trendy these days, but they're also ridiculously expensive. 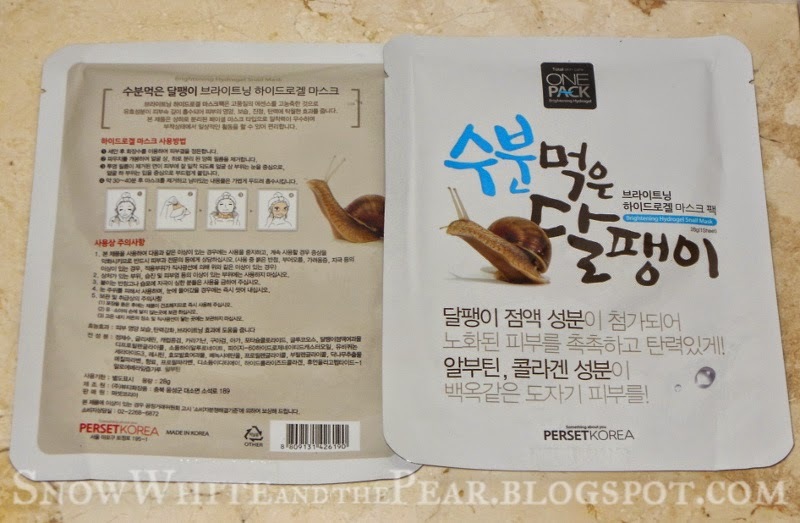 I love a sheet mask as much as the next Asian beauty fanatic, and I love me some snails, but I'm not about to pay $7 a mask so I can feel all futuristic when I can spend $0.50 on a regular sheet mask and still benefit. However, I managed to snag these at a great price so too-toot all aboard the hydrogel bandwagon train! The gelpresso wasn't originally listed in the set, so I forgot to photograph it. Whoops! These ingenious little things are tiny sheet masks designed to be used on your undereye, and have the added shiny factor of being a hydrogel. I know one brand's undereye hydrogels can be dissolved in water afterward to make a serum, but I am not sure if these do as well. The tin comes with the curved semi-circle undereye patches and oval 'spot' patches that I plan to use on blemishes and/or flaky areas. I am really looking forward to popping these on when I'm unwilling to deal with the hassle of a full mask. The Mizon Returning Starfish cream is now super trendy and as such has become harder to find/more expensive since I got (and emptied) my first tin. Those masks normally retail for $4-7 each, which is ridiculous, so it makes the price of this set that much more satisfying. The last item is the one I am the most excited about! The final prize in my Avecko haul will have an entire blog post dedicated to it, for several reasons, not the least of which is that it's gorgeous enough to deserve it's own post. It's a full set from a Hanbang (traditional Korean herbal medicine) brand and it's completely unknown outside of Korea as far as I have been able to determine. Forget translated ingredients; after Google Translate hilariously told me that I was going to be putting "latex", "native beasts", and "oh unemployed" cream on my face, clearly I had my work cut out for me, as I don't speak, write, or read Korean. If you are wondering if this set is as gorgeous in real life, the answer is no- it's even more gorgeous in person! Click here to read Part II for how much I paid for everything, how much I saved compared to regular channels; how I found the items I wanted, and where I purchased them from; and my experience working with Avecko!